Under the direction of Jeff Holtzclaw, Braun Service Manager, we recently completed a remount project for Lincoln Fire & Rescue in Nebraska. The project included the refurbishment of a Chief XL unit mounted on a new Ford F-Series Chassis. Under the direction of Jeff Holtzclaw, Braun Service Manager, we recently completed a remount project for Central Lincoln County in Maine. The project included the refurbishment of a Chief XL unit mounted on a new Chevy G-Series chassis. 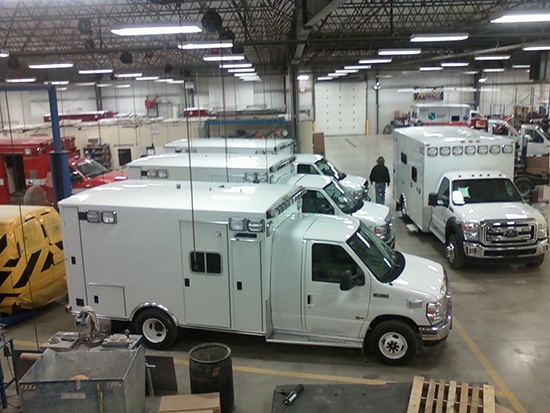 Under the direction of Jeff Holtzclaw, Braun Service Manager, we recently completed a remount project for Cypress Creek EMS in Houston, TX. The project included the overhaul of 3 Raider units mounted on Ford E-Series chassis.